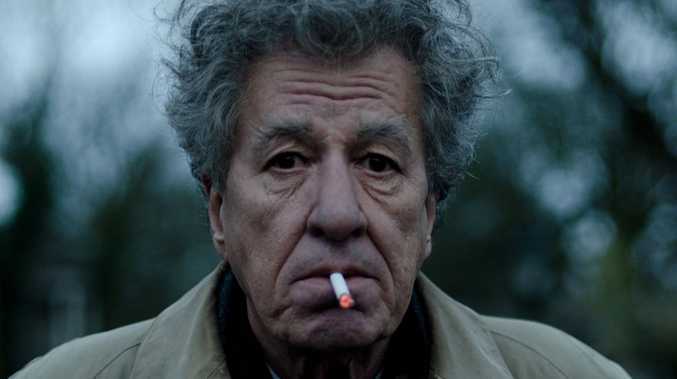 DAVID Helfgott (Shine), Albert Einstein (Genius), now Alberto Giacometti (Final Portrait) ... eccentric genius suits Geoffrey Rush. The stage and screen veteran feeds off his characters' singular intensity. And, an accomplished actor in his own right, Stanley Tucci knows just how to direct his Oscar-winning lead in Final Portrait - containing that theatrical flourish within a relatively economical storyline. It makes for a film in which watching paint dry is oddly fascinating. Rather than creating a classic biopic about the life of the influential Swiss artist, Tucci focuses on a short period towards the latter part of his career. The film is told from the perspective of American writer and art lover James Lord (Armie Hammer), who agrees to sit for a portrait while visiting Paris in 1964. Giacometti says it will only take a few days. But it quickly becomes clear that the painter/sculptor has a rather slippery relationship with time. Sometimes Lord turns up at the artist's leaky, decrepit Montparnasse studio at the appointed hour, only to be bumped by Giacometti's capricious mistress Caroline (Clemence Poesy). At others, Giacometti executes just a few strokes before slamming down his brushes in despair. And just when the portrait finally starts to take shape, the dissatisfied artist paints over it and starts again. For Lord, who is forced to delay his return flight many times, the arrangement begins to appear interminable. 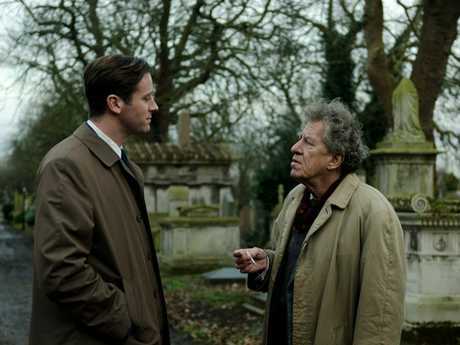 In lesser hands, the Final Portrait's audience might have felt the same way. But while Giacometti reworks his painting, Rush and Tucci fill out the layers of their own cinematic portrait. affection is clear. 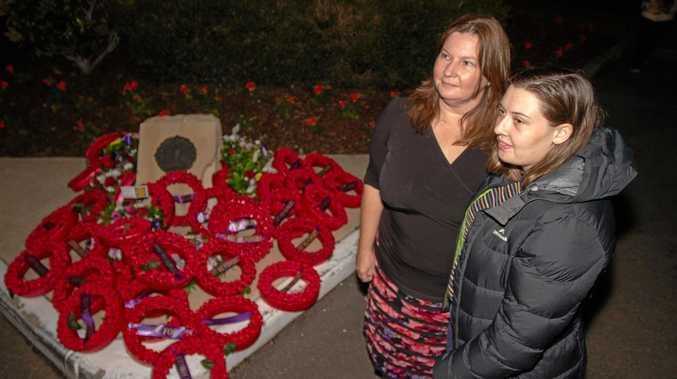 Withheld, charismatic, manipulative, needy - Caroline is tantalisingly difficult to pin down. Giacometti's artist brother, Diego (Monk's Tony Shalhoub), observes the goings-on with a Zen-like detachment. Cinematographer Danny Cohen (The Danish Girl) frames Tucci's portrait of a portrait with a painterly eye: Arm's yellow coat, Lord's navy jacket, Caroline's red convertible stand out in sharp relief against the monotonal backdrop of Giacometti's studio. There are some colourful personal details - the speed and gusto with which the artist eats and drinks, for example. But what stays with you after the credits have rolled is Giacometti's extraordinary ability to hold his creative nerve. The man's willingness to begin again from scratch is both awe-inspiring and strangely liberating. 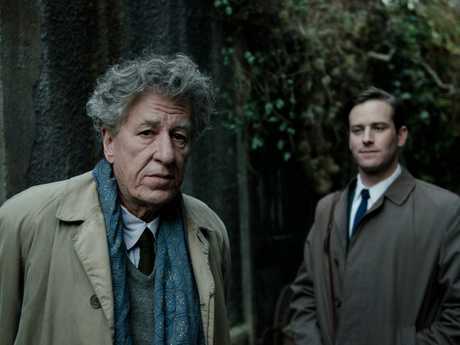 Final portrait opens on Thursday. Stars: Geoffrey Rush, Armie Hammer, Clemence Poesy.